The Playstation VR headset when paired with the Sony PS4 console is a powerful device to enjoy immersive games. But, not all of them have to games and the Anywhere VR app approaches the new technology with a practical, fun idea. Designed to bring your smartphone screen and all its activities into the PS VR headset, the “Your Favorite Place & Everyday Things” is a concept which focuses on offering an immersive real world experience into the display. 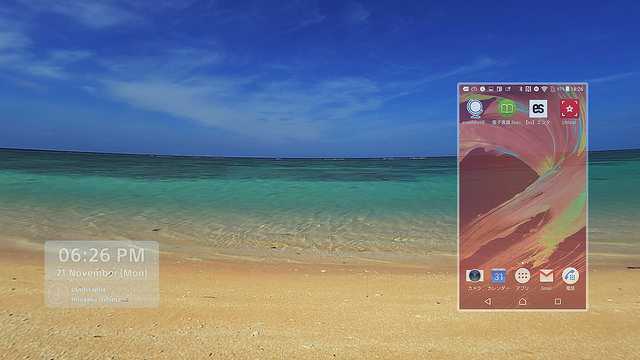 The Anywhere VR app is a 360 degree setup which recreates the serene location of a beach, Mount Fiji, breezy waterfalls or a lake among other natural locations. They fill the huge virtual reality display and lets you relax in comfort. The stimulating experience that mimics natural locations is just the beginning. After all, users can’t stare into stars or the waves all day long right? Once you have spent enough time enjoying the VR image in the background, it allows Android smartphones to be duplicated within the VR screen. All devices running Android 5.0 or up is supported. The idea is to let you do your smartphone activities in a more relaxing, immersive manner. Just tap on your smartphone in the real world and the actions will be seamlessly displayed within the headset. You can read comics, browse through ebooks and enjoy browsing through Facebook or Twitter for hours. The activity will never get boring because of the immersion the head mounted display offers along with the ability to open multiple apps, keep them arranged with a beautiful, background scenery. Announcing the Anywhere VR app on the Playstation blog, the developers confirmed that the basic functions are free and there are some great environments to browse through. However, if you love the non-game app and wish to have music, video backgrounds support among other beautiful, natural locations, it is mandatory to purchase them individually. 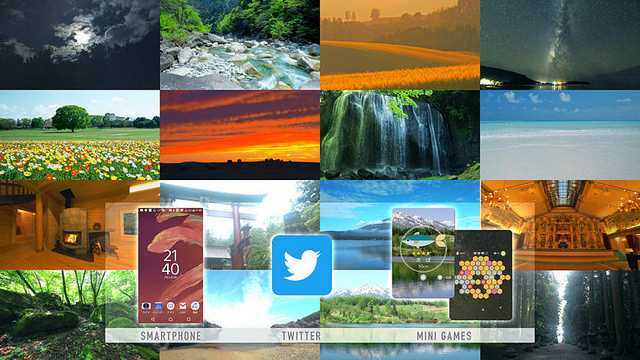 The backgrounds create a relaxing mindset especially when you browse your daily feed within the virtual reality world. Besides, this is probably the first time in many years that Sony has brought their Playstation VR headset which is a proprietary accessory to mainstream audience to use it with their Android devices. If this trend continues, we will have lots of third party developers interested in making VR content that will favor PS4 users as well as the general audience to make use of the $400 headset designed for gaming.